2nd May 2018 – The opening ceremony of road renovation in Buanli village of Tedim township took place on 2nd May 2018, the road was funded by the Government of Japan and implemented by UN-Habitat under ‘The Project for Emergency Support to poor and Vulnerable Communities in Ethnic Areas’. 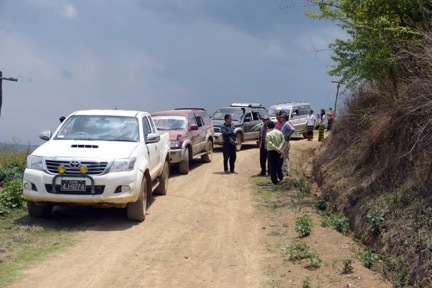 The road is connected from Buanli village of Tedim Township to Darkhai village of Tonzang township, helping the local community for their trading to India border. 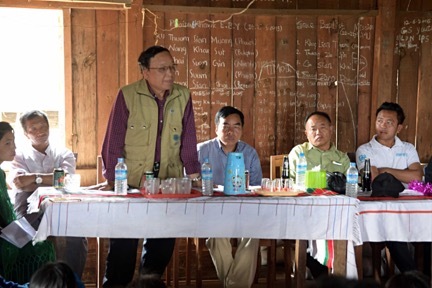 ‘The Project for Emergency Support to poor and Vulnerable Communities in Ethnic Areas’ supported by the Government of Japan focused on empowering communities to jointly work to build/renovate quality services (WASH and community infrastructure), and housing (affected by the 2015 floods), to give people basis for healthy and productive life. 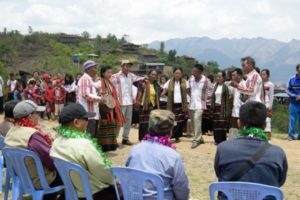 Members of parliamentary, representatives from UN-Habitat, General Administrative Department (GAD), Department of Rural Development (DRD) and villagers from Baunli attended the opening ceremony. In his opening remarks Pu Gin Kam Lian, MP of Amyotha Hluttaw (House of Nationalities, Representative of Tedim Township) expressed his heartfelt thanks to people who were involved in the process of the project implementation. He also encouraged the community to keep up their good work with a sense of ownership for the sustainable development, by practicing continuous Operation and Maintenance of constructed infrastructures in the village. Assistant Director of GAD stated the importance of coordination among the acting bodies such as DRD and UN-Habitat in successful implementation of such projects. Under this project 123 roads, 424 bridges, 31 drainage sewage were built/renovated as infrastructure component. 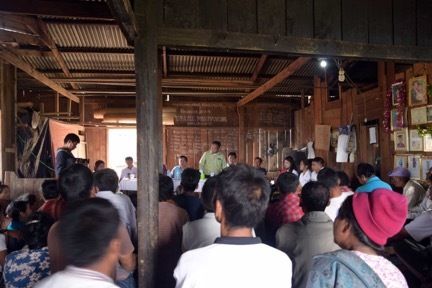 The project benefited 120,949 people in 241 villages across Hakha, Tedim, Falam and Thantlang townships in Chin State.